It's officially, finally spring! It's finally warm enough to break out some lighter jackets and brighter clothing, and finally sunny enough to make me feel full of life and motivation. 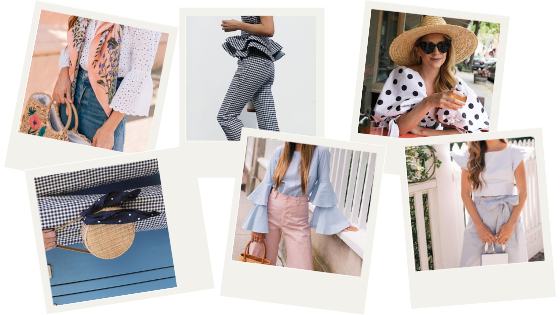 Now, there's nothing better than the start of a new season and the excuse to go shopping, but there's something about spring and summer that are just so much more fun to me! I only really keep up with a select handful of bloggers. 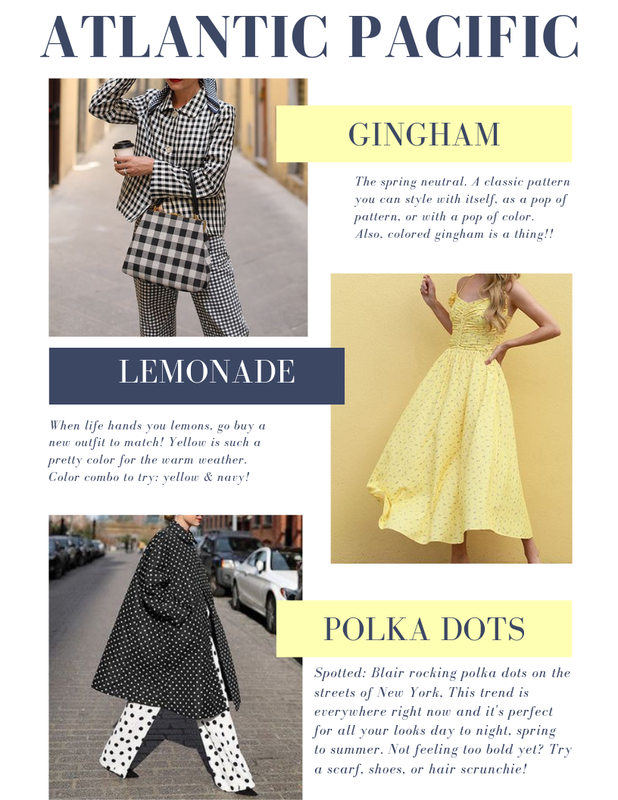 Blair Eadie of Atlantic-Pacific and Julia Engel of Gal Meets Glam have always been 2 of them. Though they're both very different, they're 100% the two different sides of my own style! 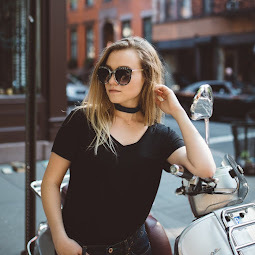 Blair's style is super fun and shows her outgoing personality, never afraid of taking risks. She will probably show you a way to style something you never thought to do! Julia's style is simple but trendy, girly, and sweet - just like her! There's some big trends this year that I am loving, wish-listing, and styling. Blair and Julia have incorporated these trends in past and current outfits, 'cause you know they're way ahead of the game. 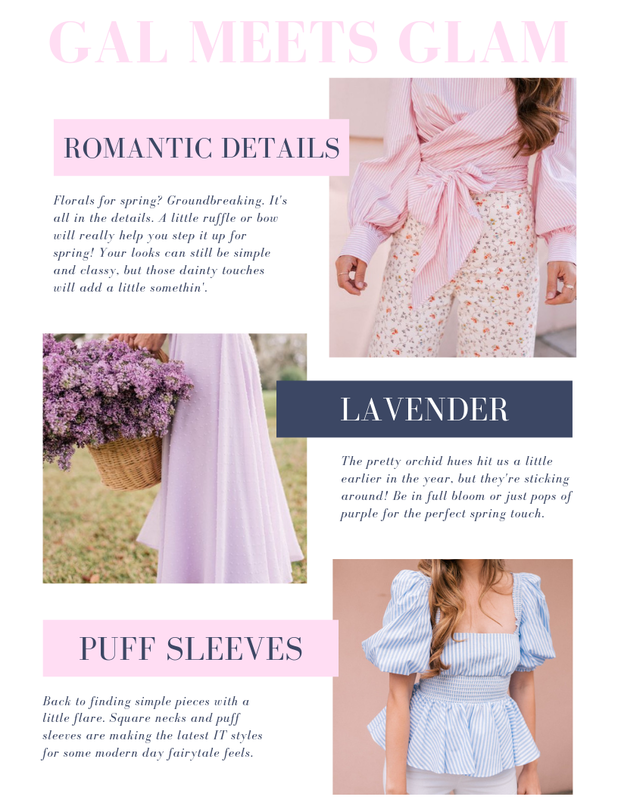 I wanted to pull together my fave trends with their inspiration and give you A TON of affordable picks you can directly shop, so here we go! Thanks for stopping by, for more Gal Meets Glam & Atlantic-Pacific styling inspiration, check out my full style board! It's officially the week where it's acceptable to wear all the pink I own at once, right? 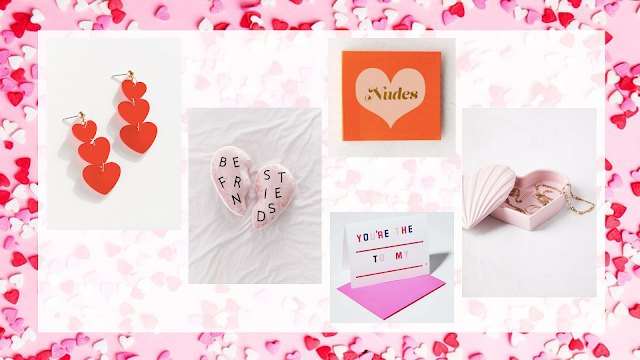 I love the vibes of Valentine's Day and all the hearts, love, and pretty little things, but making it Galentine's Day is a little more my style! Over the years, I've had my ups and downs with gal pals, but I think I've got a pretty solid group of boss babes by my side now. I always love to give people little gifts that are just unique and cute, so I gathered up some fun ideas of what to give your girl group to say, "Hey babe, I love ya!" 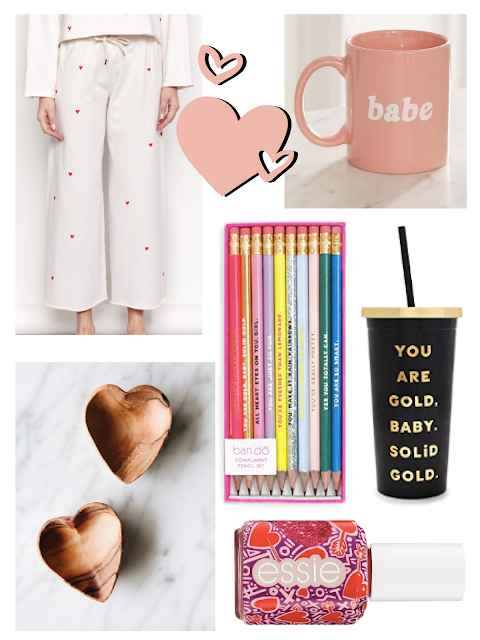 Sundry Heart Sweatpants $128 - so maybe not a gift, but so cute for spring and summer anyways! 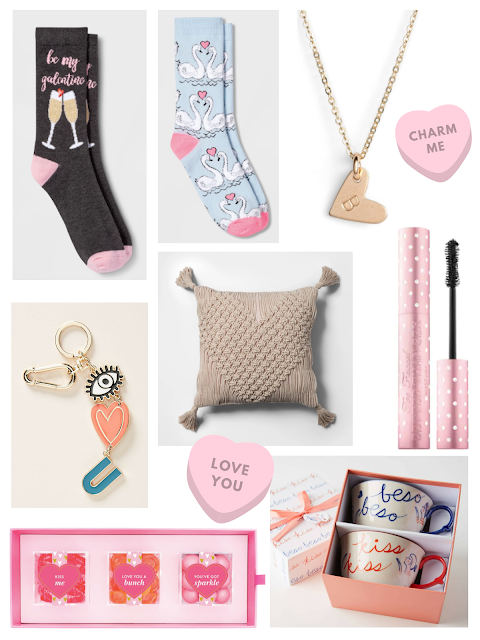 Fun socks are one of my fave easy & cute gift ideas! I hope you found some inspiration on what to surprise your bestie with, or to treat yourself for being a total babe! Comfy, cozy, and not cold in Upstate NY. I wanted to do a 'lounge, but make it fashion' look but wasn't sure what to do. Last minute, I threw on my denim jacket under what I would normally wear on a casual Sunday, running errands around the city, and it made all the difference. Now, styling a denim jacket under a cardigan or other jacket is my new favorite thing! Winter essentials: my Ugg boots - the Constantine style (the McKay ones were on my wishlist though), a simple blanket scarf for those windy days, and my Tommy beanie of course! If you're looking for some outfit inso for styling your joggers, make sure to stick around to the bottom of this post. My top and joggers are the softest things ever - Lou & Grey (my fave work sample sale finds!) The pants are sold out but incase you find them anywhere, they're the Upstate Terry Joggers, I also have them in pink which I can't wait to wear in the spring! My longline cardigan was such an essential to my fall and winter wardrobes this year. it was about $40 at Forever 21 but so warm and the quality was great, I can't even count how many times I wore it. 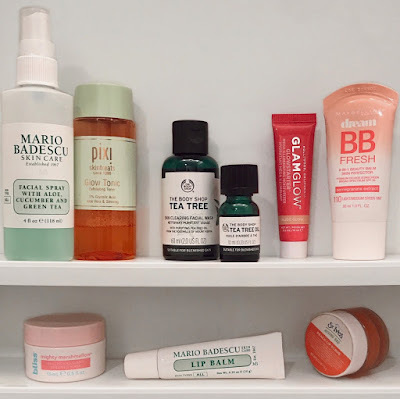 My daily and weekly essentials / skin care routine includes all these aesthetically pleasing goodies! 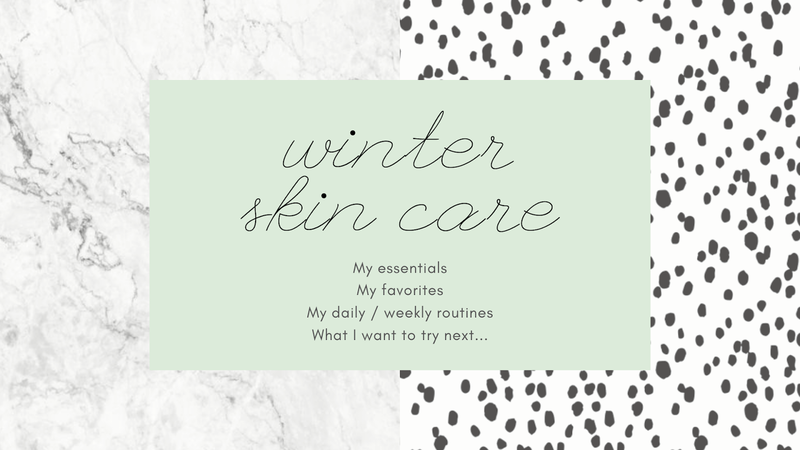 Especially during the winter, we need to stay moisturized and feeling fresh. Let me tell you about my faves and must haves + shop them below! I've become addicted to the Mario Badescu lip balm, just like I'm addicted to the facial sprays #notsponsoredbutshouldbe. I use it every day, many times a day, and do some exfoliation every few days when I need my lips to feel refreshed. I got this peach lip scrub from the St. Ive's pop-up over the summer and it smells & tastes so good! Daily, I use the Simple makeup wipes because they're the only ones that don't make my skin all red and puffy! About every other day or 2 I use the tea tree facial wash, which makes my skin feel so fresh and healthy. I love the smell of tea tree but a lot of people don't. Sometimes I'll switch it up with the Mario Badescu enzyme cleansing gel which I pair with the coordinating scrub! I got these two minis and a mini facial spray in one of Ulta's trio sets during holiday time - one of my best beauty purchases! 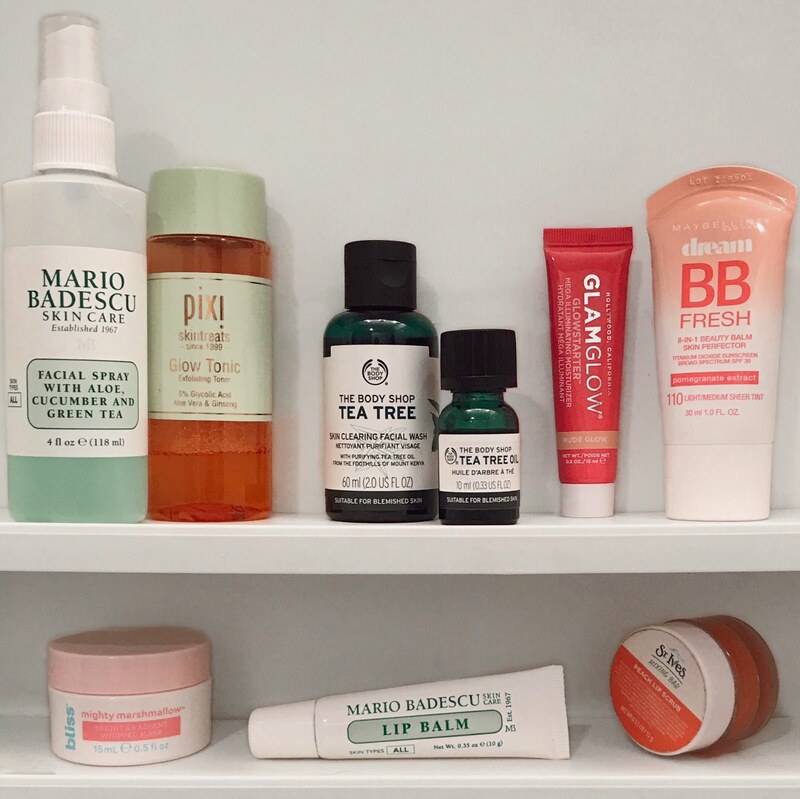 I love the Pixi Glow Tonic and use it every day in the morning on top of my makeup for a little dewy glow, and at night after washing my face. I love the smell and it really does make your skin glow! Then, of course I use the MB spray multiple times a day to feel refreshed, especially in the morning. The cucumber aloe green tea one is my fave! I recently started trying the Pixi rose tonic which smells so lovely but I only have this itty bitty bottle so I try not to use it too much. Another daily essential - tea tree oil! I live for this stuff to prevent and get rid of any blemishes I have and highly recommend it. My favorite mask: Bliss Mighty Marshmallow Whipped Brightening Mask. I get the travel size from Target because it lasts about 3 uses. I love the color, texture, smell, and how it leaves my skin feeling SO baby soft, I can't wait for Target to get their new Mint Chip whipped mask! 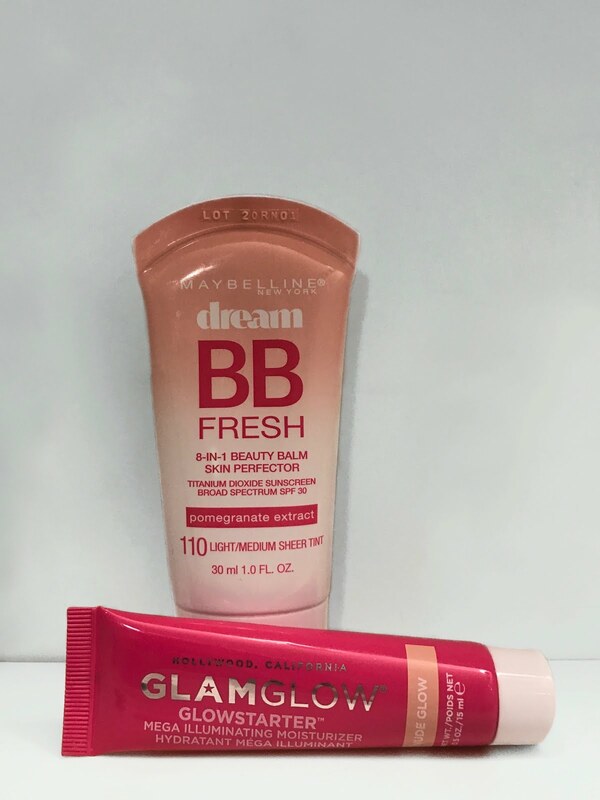 My daily makeup routine starts with a BB cream when I want a little all-over coverage. Right now I'm testing out this Maybelline Dream one, not sure how I feel about it yet. It blends well and adds a natural color to my skin, unlike others I've tried, but it may or may not be the cause of my break outs...we'll see! I LOVE this GlamGlow illuminated moisturizer I got in my Sephora birthday gift. It smells like candy, feels super light and 'comfy' on your skin (I hate feeling like I'm wearing makeup on my face lol) and it adds such a nice, natural glow! I put this on my cheek bones like a highlighter. ShopStyleCollective glitch may appear below. 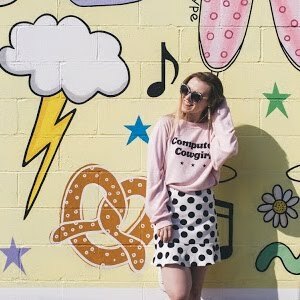 Feel free to ignore or shop some cute clothes from an old post! !